The Touring Hybrid EXC puts the best quality components at the fingertips of its rider for the ultimate in hassle-free reliability. Based around a sleek, durable and easy-to-ride Touring Hybrid frame Cube designers have selected the kit that's proven itself over time. 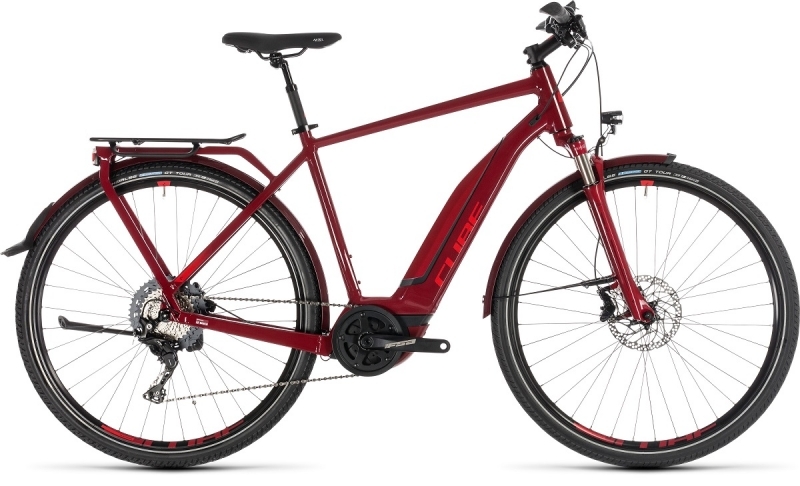 So, for example, there's an 11 speed Shimano XT-based transmission with wide-ranging 11-46 tooth cassette - putting the right gear for any hill just a click or two away. Shimano Deore hydraulic disc brakes offer smooth, powerful stopping in any weather conditions, while 47mm Schwalbe tyres give you the comfort and control you need to stay safe. And the easily adjustable, air sprung Suntour suspension fork helps smooth out the roughest of road surfaces. Combined with standard equipment including the integrated luggage carrier, mudguards and lighting set, it's all you need for miles of smiles - a Bosch e-bike for all reasons.